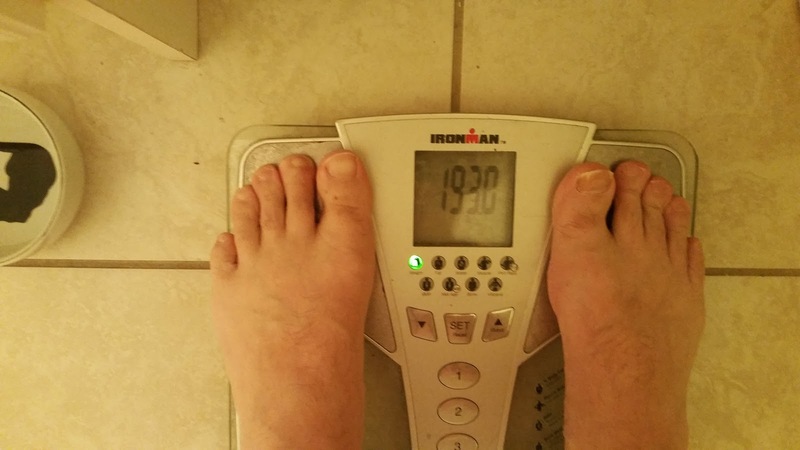 As of this writing I weigh 193 lbs down from 207 on New Years Day for a loss of 14 pounds. The credit goes to the Doctor’s Diet by Travis Stork. While I’m not a nutritionist, dietitian or any kind of health professional, I could see that the “diet” (I don’t like the word, as it implies the fad, temporary/transient kind of change) wasn't eliminating anything healthy or necessary, and would work for an omnivore like me who likes most kinds of food. The Doctor’s Diet has 3 phases: STAT, RESTORE and MAINTAIN. Obviously the MAINTAIN plan is not a diet but more of a way to install healthy eating habits for the rest of your life, and it uses the same principles, it’s just that the other two phases are more restrictive and have a weight loss goal. STAT and RESTORE are 2 weeks each, and you’re supposed to alternate between them (STAT first) until you reach your goal weight. N.B. all I’m doing is summarizing the general principles of the plans, to actually implement them, you’ll need the book. The STAT plan defines foods you can eat by single portions (in general) of the following categories, though there are some cross-overs. The list of examples is not exhaustive, but reflective of what we used. High Density Vegetables - Sweet potato, Yam, Corn, Lima beans, black-eyed peas. Whole Grains - whole wheat bread, whole wheat English muffins, oatmeal. Daily flex-time foods: Each day (at the meal or snack of your choice ) enjoy these additional foods: 1 Healthy Fat, 1 Whole Grain, 1 High-Density Vegetable. The RESTORE plan has an extra whole grain per day, and occasional alcoholic beverages allowed. It also widens the selections of fruit. I’m still getting familiar with the RESTORE plan, and I have to finish other chapters on “Food Prescriptions” where certain foods (and the nutrients they are rich in) are used to address needs that the general North American diet doesn't cover well. Fruits and vegetables. My wife likes fruit, but not vegetables and I’m the opposite. Being on the structured plan forced us to get portions of each every day, so our shopping list ended up looking like a compromise of what we both would hold as the ideal. The last time (before undertaking the Doctor’s Diet) I asked for vegetable snacks like peppers, cucumbers, etc. I would eat them once, then the rest would rot in the fridge. Eating veggies (and similarly fruit) every day meant they got used up and didn't spoil. Rapid weight loss. While losing weight quickly isn't an ideal goal, it did help me stay motivated to weigh myself every day (also a general no-no) and see the numbers drop. It reminded me that what I was doing was working. Flavour. Dr. Stork advocates food that tastes good, quite simply. Salsa, cinnamon, nutmeg, turmeric are good examples of something he pushes as a way to keep food as tasty as possible, while adding nutritional value and without harmful stuff like sugars. Making healthy fats a part of every day helps too. I’m a little concerned about the lack of carbohydrates, especially going forward. At first, my exercise regimen was more strength-based, with most cardio sessions being less than 45 minutes a day. As I ramp up my training for the Half-Iron triathlon, I’m pretty sure my carb intake needs to go up. In fact, maybe my calorie intake overall needs to go up so my body doesn't start burning muscle. It’s going to be a fine-tuning process, but it is notable that the book doesn't discuss exercise much beyond encouraging people to get that 30 minutes of moderate exercise daily; this might not be an “athlete’s” diet, but it is a healthy one in principle, so it’s a great start. Deprivation. While Dr. Stork is anti-deprivation in terms of long term lifestyle, the STAT plan is pretty strict for 14 days. I think 14 days of discipline is good for you, but in two weeks, it’s easy to have a day (or more) where you could really use a glass of w(h)ine, or a beer, or chocolate. It does get better as you go along, and you break your dependence on sinful food as a reward system. Bacon seems to be out altogether, and that’s hard (for a guy like me) too. We’re moving forward with the Doctor’s Diet (although the Valentine’s Day/Family Day weekend cracked the foundation), as the guiding principle for healthy living. I have a goal weight of 187 pounds, which I’m looking forward to meeting soon. While a lifestyle with healthy eating with a general, long-term and sustainable implementation is always preferable, do you feel there is a place for a short-term “diet” go kick-start weight loss and good habits?